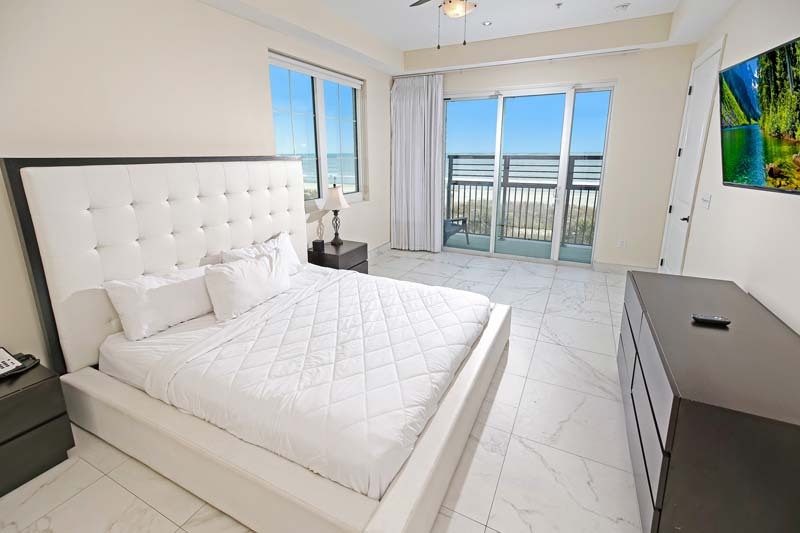 Awaken every morning looking right over the coast in our 3-bedroom, 2-bathroom oceanfront modern, luxury condos. Comfortably sleeping up to 6 guests, this unit-type is perfect for medium-sized groups looking to experience a deluxe and indulgent vacation in Myrtle Beach. 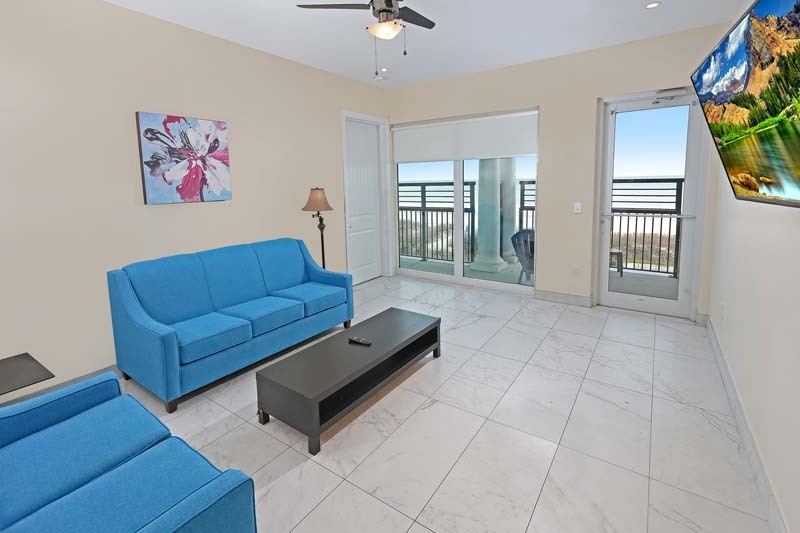 Featuring fully-equipped kitchen including all of the necessities, washer and dryer, cable television, Wi-Fi network, our 3-bedroom oceanfront suite is sure to impress with its modern details and sophisticated design.